KS8700BLK Shuffle Black, 3 1/4" closed linerlock. 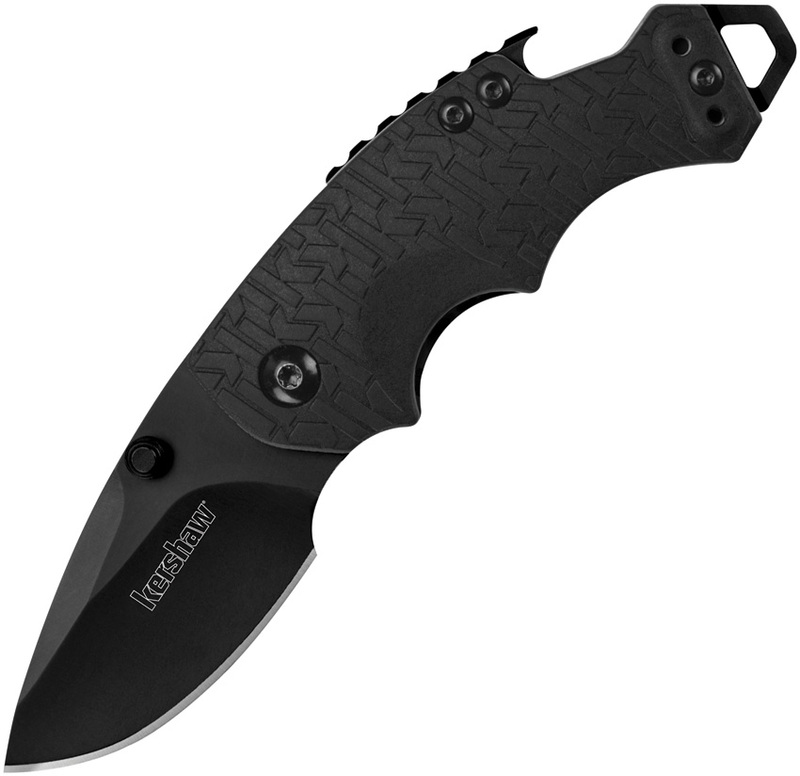 2 3/8" black finish 8Cr13MoV stainless blade with dual thumb studs. Black glass filled nylon handles with K-Texture grip. Screwdriver tip doubles as lanyard attachment. Built-in bottle opener on back. Reversible stainless pocket clip.